Home Family Immigration Disconcerted by the Anti-Immigration Wave? File Family Petitions Now. President Donald Trump made his priorities clear during election season, one of them being immigration enforcement. Over the past months, the fixation of conservatives has been on ending ‘chain migration’, a loose umbrella term describing immigration to the United States based on family ties. Building a chain so to speak is by itself challenging, as it can take years for an immigrant with a green card and citizenship to bring his siblings and parents to the country and then facilitate the entry of more immediate family members. Petitioning for and receiving a family-based visa takes time and patience. A number of reasons may disqualify eligible immigrants from achieving their American Dream, including criminal convictions, draft dodging, health issues and reasons related to public safety and security, among others. A number of illegal immigrants have trouble securing family sponsorship. These obstacles apart, the wait to enter the United States is very long, taking several years, and subject to the limits imposed on certain countries such as China, Mexico, India and the Philippines. 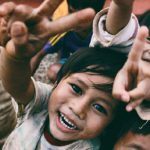 When you’re able to enter the country will depend on the petition filing date (priority date) and the types of family preference priority: F1, F2A, F2B, F3 or F4. Source: The Immigration Handbook: A Practical Guide to United States Visas, Permanent Residency and Citizenship. Alternative source: U.S. Department of State- Bureau of Consular Affairs. The White House has made clear its intention to enforce limits on family-based immigration. It recently released a framework for a proposal that would limit family sponsorship to spouses and minor children, which would have serious repercussions for F1, F2b, F3 and F4 visas. The proposed changes may not impact those who are currently waiting in line, but poses uncertainty for those who were planning to make the move. Hardline approaches rarely make it through the Congress but in the unpredictable Trump era, the victories have come swiftly – at least so far – for the conservatives. 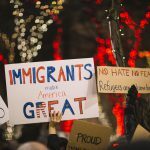 Avoid waiting for the current administration to toughen immigration laws and get the ball rolling on petitioning for immigration. 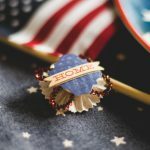 The lawyers at Kameli and Associates can provide professional guidance and help you take the first steps towards joining your family in the United States. For any questions, please contact info@kameli.com or call us at 001-312-233-1000.